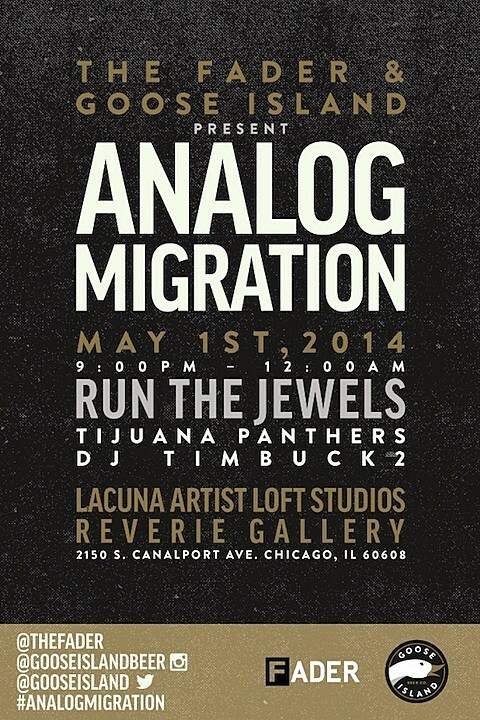 El-P and Killer Mike‘s Run the Jewels project have announced that they’ll be playing a FREE show at Lacuna Artist Loft Studios’ Reverie Gallery on Thursday, May 1. The show is part of FADER and Goose Island’s new “Analog Migration” series, and GI’s new 312 Pale Ale will be provided. Tijuana Panthers and DJ Timbuck2 will get things started, and you must RSVP for entry. 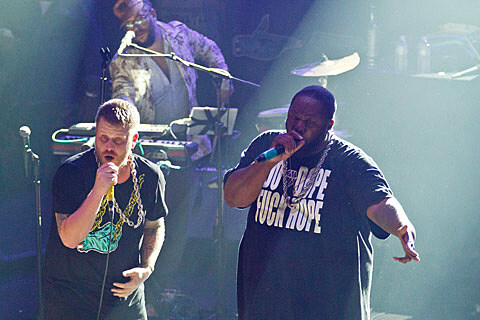 RTJ are currently working on the follow-up to their awesome 2013 self-titled debut. It’s called Run the Jewels 2 and is due out sometime this year. Stay tuned for more information. This also isn’t the first time RTJ have worked with Goose Island — they collaborated on a very limited Run the Jewels beer, which was available at the 2013 Pitchfork Music Festival.